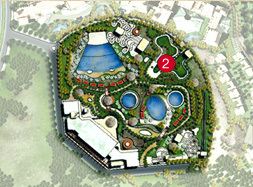 The "Lost Paradise of Dilmun" Water Park, where family fun will rule supreme, is now operational . It has been developed by the Al Areen Holding Company at an investment of US$ 50 million. Covering an overall area of around 77,000 square meters, with a built-up area of 45,000 square meters and around 20,000 square meters for future expansion and car parking. 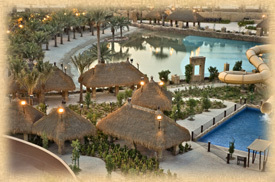 The "Lost Paradise of Dilmun" Water Park included with The Banyan Tree Desert Spa & Resort, Al Areen were completed as part of phase one of the Al Areen development project.